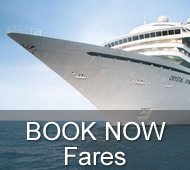 DATES: April 8, 2019 - April 26, 2019 CRUISE-ONLY FARES FROM: $4,650 Per Person !!! 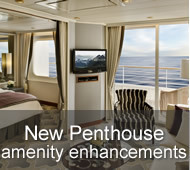 Aboard the ultra-luxurious ships of Crystal Cruises, refined elegance meets casual simplicity. With an emphasis on innovative product differentiation, the renowned Crystal experience is distinguished by classic service, abundant space, extensive choice, and quality, providing worldwide vacations that bridge the best of land and sea. 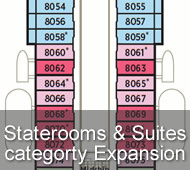 The 940-guest, 51,000-ton Crystal Symphony and the 1,080-guest, 68,000-ton Crystal Serenity are among the most spacious and luxurious vessels cruising in the luxury market. Their unique size allows for smooth sailing and a wide range of innovative facilities, generous amenities and elegant accommodations. 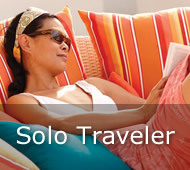 The Six-Star rated liners feature grand lounges, a lavish spa outfitted in accordance with the principles of Feng Shui, extensive exercise facilities, complimentary golf, yoga and Pilates instruction, Asian and Italian specialty restaurants, and the popular Computer University@Sea®, offering 24-hour e-mail and internet access, as well as hands-on instruction. Other distinguishing features include expansive decks, two pools, award-winning cuisine and entertainment, and exquisitely appointed staterooms, more than half of which offer private verandahs. 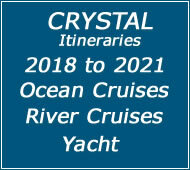 Crystal Cruises enjoys a reputation for excellence, grounded in a decade of prestigious accolades including having been voted "World's Best Large-Ship Cruise Line" by the readers of Conde Nast Traveler and Travel + Leisure magazines -- the only cruise line, resort or hotel to have achieved such distinction.